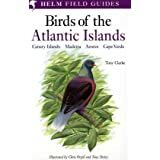 What do you do when you are on an island like Madeira (Portugal), about 600 km off the coast of Morocco? 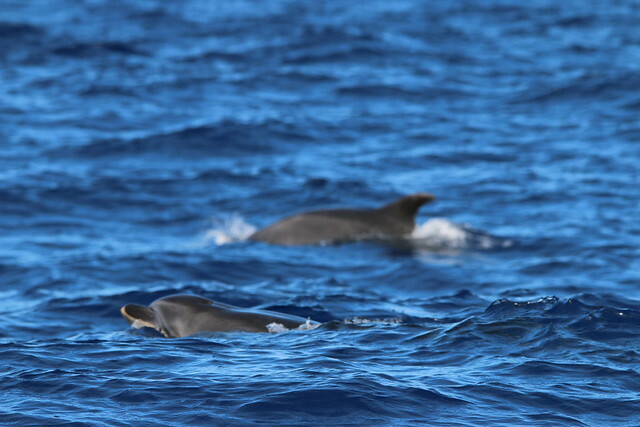 Then you go for a Whale, dolphin and bird watching excursion by boat with Madeira Wind Birds. Riding the waves, circled by lots of Cory's Shearwaters. Only to encounter a nice group of Common Bottlenose Dolphins (NL: Tuimelaar) (Tursiops truncatus). And several Short-finned Pilot Whales. Above is just one photo, but there is a bunch of photos on the website: Common Bottlenose Dolphins. And believe me, it's quite hard to shoot any focused photo when the boat is rocking on over 1m high waves and you try to find a surfacing dolphin in your camera viewfinder through a 500mm zoom lens. So I was lucky to get some good photos. The hardest part is predicting where a dolphin will surface and then quickly reacting to that. But I managed in some cases, hence the pictures! 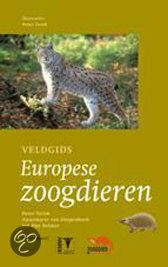 Click a link and you'll go to the page for that rank in the biological classification on Schaapmans' Wildlife Spotting.